The Admissions Policy and Procedure and the Supplementary Information Form (SIF) are both now available for the academic year of 2019-2020. Please use the links below to download and view them. Sacks Morasha is a fun, nurturing school where all the teachers and pupils know one another. As soon as you walk through the doors you will see that it’s a school that values and respects our core British Values, that we celebrate diversity and respect other cultures and religions, that we are passionate about our Kodesh education and that we want our pupils to be SMART in every way. What makes Sacks Morasha different? In our school, lessons are differentiated to the needs of every child, and we teach in a current and innovative style whilst still being passionate about upholding our excellent results. It’s a school where we want all our children to succeed. Our commitment to the pupils knowing about and respecting other cultures and religions. The teachers – who are fun! The lessons, which are modern and different. 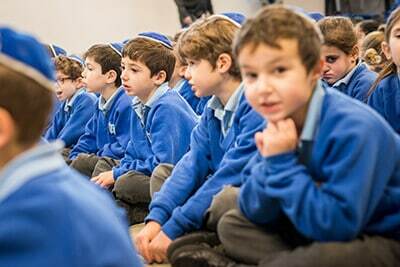 The complete admissions policy and procedure for entry into Sacks Morasha Jewish Primary School is available to read online or as a downloadable PDF. This policy sets out the appeals process against a decision made by Sacks Morasha Jewish Primary School not to offer a place to an applicant. The document can be downloaded or read online.